day. The officers appropriately prepared to apprehend the suspect. with any community members. As an organization, we are learning that our community members can be equally effected by the processes of law enforcement in their neighborhoods as the end results. I am looking into concerns that were shared with me in this regard. I will inform your group leaders of my findings as appropriate. reported armed robbery and one of our detectives is working the case. detective has also responded to the location to gather more evidence. of community personal safety training. 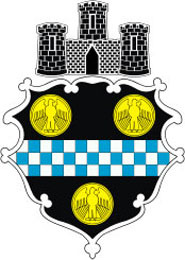 The traffic calming committee needs you! Speeding and cut-through traffic affect all residents to some degree. Those of us who live on or near the busiest streets: Melwood and Herron avenues, Brereton or Paulowna street, are probably the most affected, with speeding cars and the sheer volume of rush hour traffic causing daily aggravation. The PHCA traffic calming committee is looking for people who are interested in traffic, bike and pedestrian issues. Even if you don’t have time to attend every monthly meeting, the committee could use your help to find solutions to the most pressing traffic issues in our neighborhood. If you’d like to be involved, email kalie@phcapgh.org to find out more. 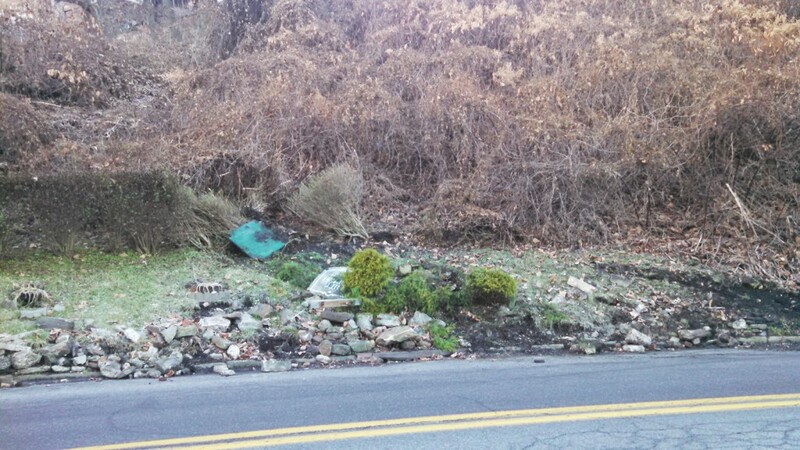 Last night a car drove up on the hillside at the Herron Avenue S-curve, knocking over the neighborhood sign and flattening the bushes and plantings. This part of the curve is hit frequently; the stone wall was badly damaged by another vehicle this fall. This is also where pedestrians cross, so the frequency of accidents is of particular concern. Incidents like this highlight the need for long-term solutions to the problem of speeding and cut-through traffic. The issue is complicated. Roads are public thoroughfares and Polish Hill’s location means that it’s the only quick route between certain points, so vehicles are going to come through. City traffic engineers and Zone Traffic Division are looking at the problem and have advised us that the best way to address the issue is to make it difficult for drivers to speed. If it’s not as quick and easy to cut through Polish Hill, more drivers will stay on the main roads, and the vehicles that do come through will move more slowly. We’re collecting feedback from residents in order to see what traffic calming measures they want, and where, with the Polish Hill Traffic Calming Survey. The majority of responses thus far support speed humps (not speed bumps, which are higher). 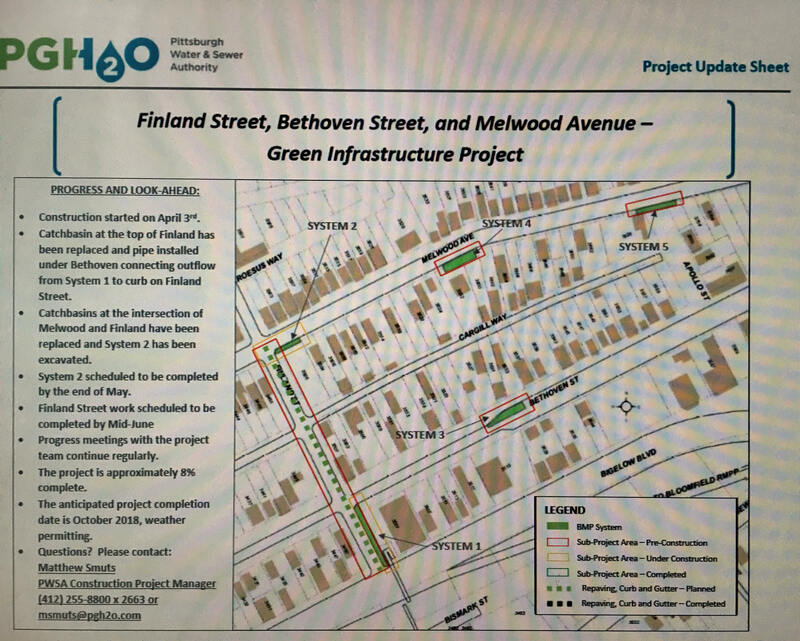 The most-requested location is Melwood Avenue, followed by Herron Avenue and Paulowna Street, all streets that are particularly affected by cut-through rush hour traffic. Another way to support traffic calming solutions is to file a 311 report. Let the City know the impact that speeding and cut-through traffic have on you, and what solutions you want to see. Fill out the Polish Hill traffic calming survey! 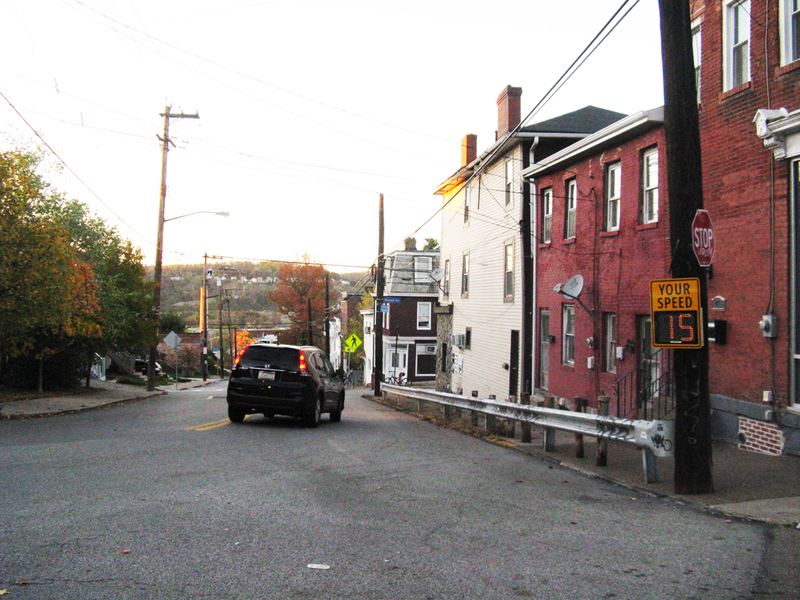 Some of the most difficult issues facing our neighborhood are related to traffic, particularly the number of vehicles that cut through Polish Hill and the speed at which many drivers move through our streets. We’ve been working with Zone 2 traffic division, District 7 Council office, and the City of Pittsburgh to find ways to slow down and perhaps reduce the traffic that comes through our neighborhood. To request traffic calming improvements such as crosswalks, signage or speed humps, we need to have data to make the case, including as much input as possible from residents. To that end, we’ve created a traffic calming survey. If this is an issue you care about, please take a few minutes to fill out the survey. Fill out the survey online, or pick up a paper copy at the PHCA office. And if you use the East Busway, you might want to check out this mindmixer document from GoBurgh. You can add your own ideas to the document, which was created for residents to talk about what they like and don’t like about the bus way and the areas surrounding it. All residents are invited to meet Zone Two Commander Eric Holmes on Friday, August 23 from 10:00 a.m. to noon. This is an opportunity for residents and stakeholders to walk their neighborhood with the commander and talk about safety and quality of life issues. Representatives from the PHCA, the Mayor’s office, Public Works and Bureau of Building Inspection will be on hand. 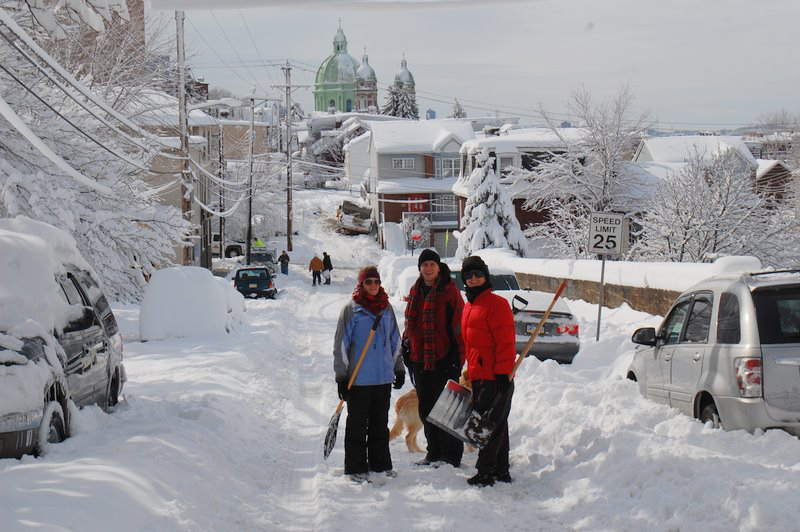 Calling on the Polish Hill snow and ice clearing team! It’s still snowing at the moment, and it’s very pretty, but we’re already thinking about what comes next: clearing the snow and preventing ice from forming. Our stair stewards have already begun their work. For other neglected stretches of sidewalk or steps, we’re calling on any other residents who feel like helping out. If you have a shovel, some energy, and maybe an extra bag of salt, your help is needed. First, look around your street. Are there sidewalks in front of empty buildings, or a bus stop? Are there elderly or disabled residents who might not be able to clear their sidewalks? If your street looks well-cleared, put that shovel over your shoulder and take a walk around the neighborhood. It’s not just shoveling that’s needed. The temperatures have been below freezing for so many days that already icy conditions become more dangerous for being hidden underneath a new layer of snow. We’ve already heard from one resident on Phelan who reports a massive ice slick (water from underground streams flow over the street year-round) that is endangering pedestrians and cars alike. There’s a salt box near the top of Phelan, left by the City to help residents battle the icing problems that have bedeviled this byway for decades. As the icy patches are on a road, we’ve 311’d it, and the City salt trucks should show up. But Phelan is a less-used side street, so help might not be for a little while. If you live near Phelan, or just feel like helping out, let’s get some salt or other traction on the icy patches.